This Super Slim concealed toilet cistern is only 90mm in thickness and is so thin that it can easily be built into the masonry blockwork, allowing space saving within a bathroom. 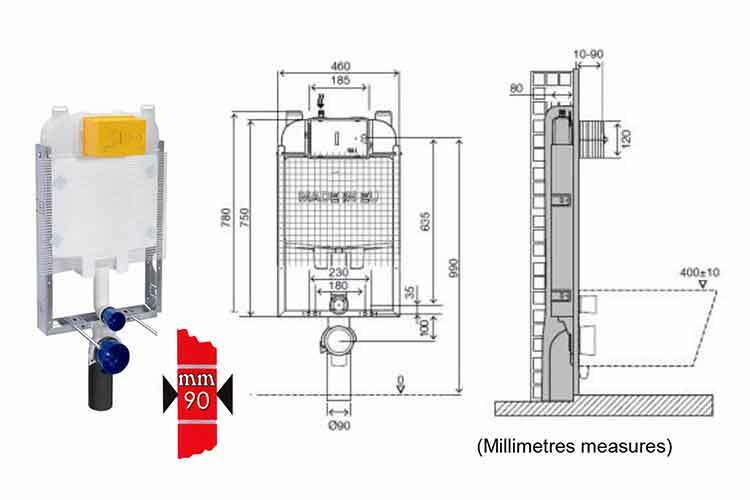 This toilet installation frame is the slimmest cistern available and is suitable for both wall hung toilets and back to wall toilets. 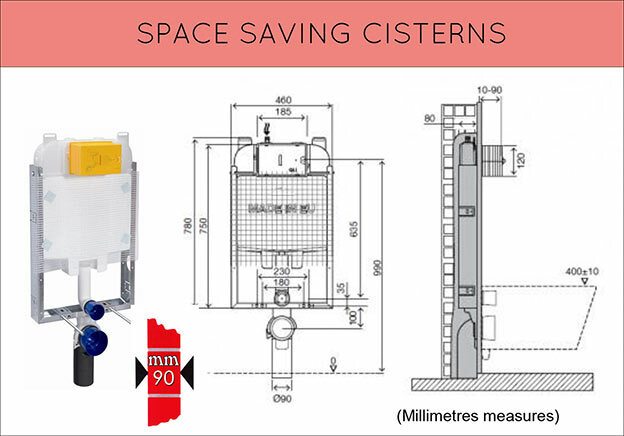 Each concealed cistern can be supplied with a choice of 27 flush plates. * Built into the masonry walls. * Only 90mm in depth. * Suitable for back to wall toilets. * Suitable for wall hung toilets. * 24 designer flush plates. * Maintenance via push button. * Easy water volume adjustment.